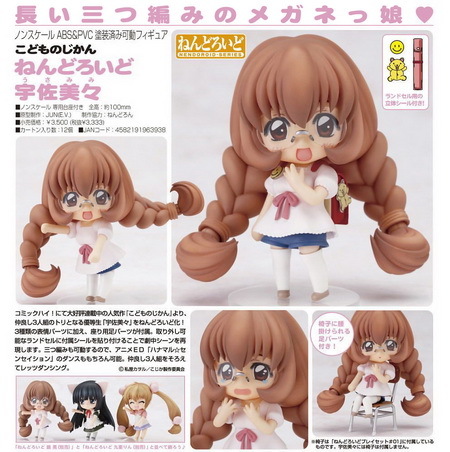 November 25th, 2009 By: GGT2 Category: 2010/03 release, Figure News. 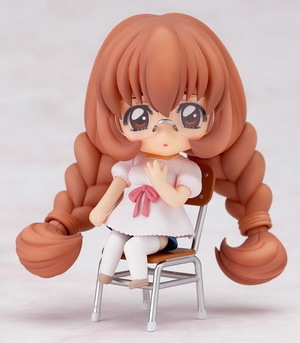 Good Smile Company is going to release the Nendoroid No.97 Usa Mimi ( 宇佐美々 ) action figure from the manga/anime “Kodomo no Jikan” ( こどものじかん ). Will be released in March 2010. 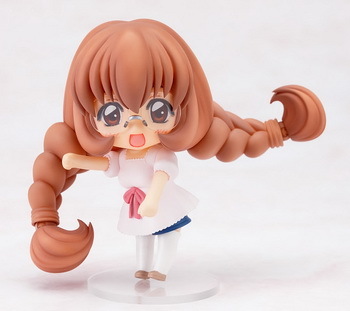 Around 100mm tall, 3,333 yen. 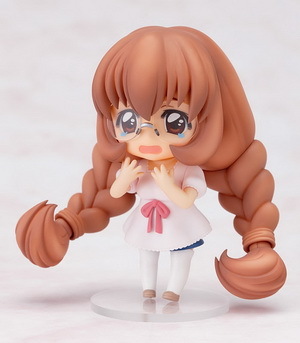 Long braids and adorable glasses! 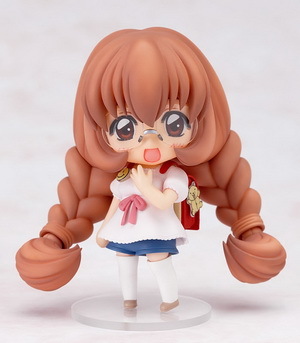 From the popular series serialized in Comic High!, ‘Kodomo no Jikan’, comes the last character to complete the Kodomo no Jikan Nendoroid trio – Mimi Usa! 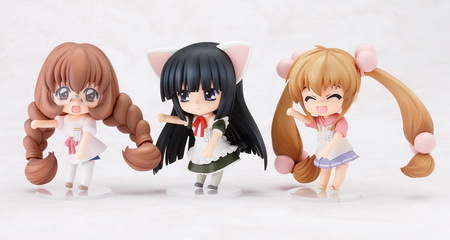 Three different facial expressions, as well as leg parts for sitting on a chair are all included. 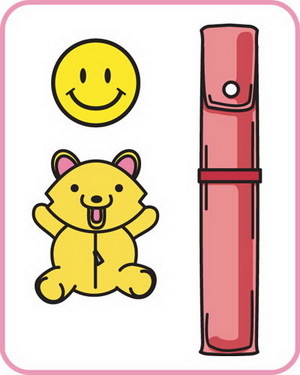 Her removable school bag also comes with stickers to decorate it, allowing various scenes from the original to be reproduced in Nendoroid form! 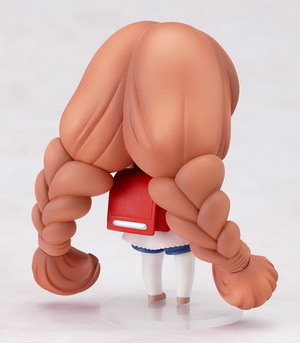 Her long braided is also fitted with joints and fully posable, allowing the dance from the ending theme to be recreated with all three of the Nendoroid trio! Get them dancing!